I hope everyone is looking forward to a nice long weekend. We are hoping that the weather holds. The kids are almost done with school. 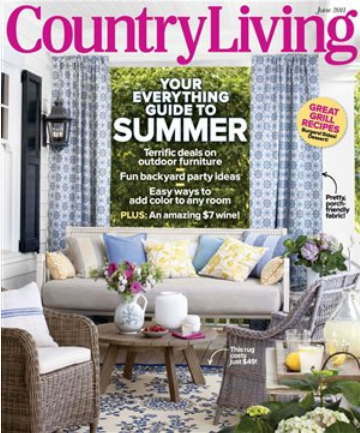 Have you checked out Country Living's June 2011 cover issue? icy cold Mojitos and Margaritas! It's my inspirational picture for this holiday weekend. that life was beginning over again with the summer." for a movie and smores. That issue does look fabulous! I will have to pick it up to read on the plane ... I am heading off to Nantucket next week! YAY! It has been awhile and I am so excited for the break! 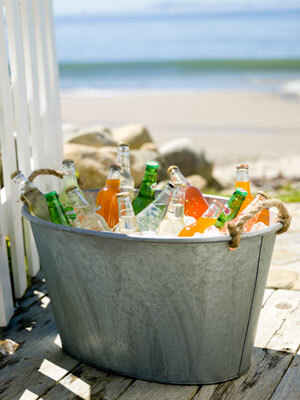 I will surely check it out and I hope your long weekend is sun filled and full of fun. I love this months Country Living too. I think your ideas for the weekend sound wonderful!! I want to check out that mag. So great that summer is finally here!